I recently conducted an ESSA workshop in State College for the Pennsylvania School Library Association, and I was very excited to spend the afternoon collaborating and brainstorming with an amazing group of librarians and academics. 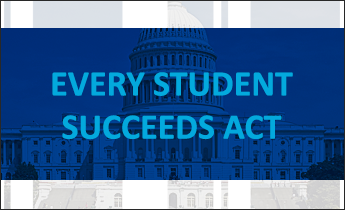 The workshop focused on developing an advocacy plan that can be used quickly and comfortably to address ESSA and other state plans after ESSA funding has been finalized. A big takeaway was in developing “elevator speeches.” We all use these one- to two-minute quick talks, in one form or another, in our daily lives, whether to persuade a teacher at the copier to bring their class in for a library lesson or to convince a student that they should be using databases instead of Googling their topic. The point of the elevator speech developed in this workshop was to connect examples of what school librarians do with ESSA and student achievement. There were two important points from the workshop that I wanted to share here. First is the importance of knowing the language of ESSA as it relates to school libraries. The second is identifying the audience for your elevator speech. I believe the most critical knowledge gained from these workshops is familiarity with the language of ESSA. When I talk about language I mean the keywords and phrases, the most important of which is “effective school library program.” AASL has released a position statement on the definition of an “effective school library program” that includes references to personnel, the library environment, and access. 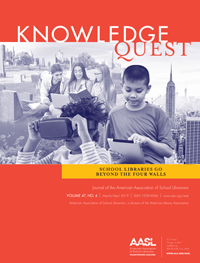 The position statement notes that to be effective a school library needs a certified librarian who is a leader, who supports the development of 21st-century learning, and who promotes literacy. An effective library also has an up-to-date collection and is a source of professional development and librarian/teacher collaboration. It’s important when we talk about our libraries and what makes them essential that we include the ESSA language. We want people to make that connection, whether consciously or unconsciously, with the library when they think of funding and ESSA. Other important terms to know and use are “personalized learning environments” and “well-rounded education.” These are practices we are already performing, we just need to let people know we do this. Identifying your stakeholders. Stakeholders are those people who care about student achievement and have a voice at the table during the ESSA planning process. 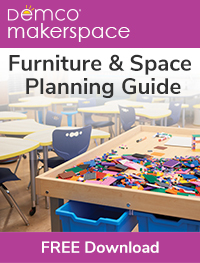 If you can’t sit at the table, who do you know who can and how can you share with them the importance of school libraries for student achievement? Form coalitions. How can you bring together people and groups who care about libraries? An important point to remember: Don’t think too small. School and local leaders are fine, but you never know who you might run into at the shopping mall or while you are pumping gas. What can you do to foster relationships with these coalition members? Next, think outside the box. When thinking of stakeholders you may know or meet or forming coalitions, think 6 degrees of separation: who do you know who knows someone who knows someone? You may have taught a state senator or their spouse. What about an athlete or performer who went to your school? You just never know who you know. Lastly, connect it all to school libraries. When people think of ESSA and federal funding, why should they think of the library at your school? How are you making a difference in your community? What are some examples of how you positively affect student success? 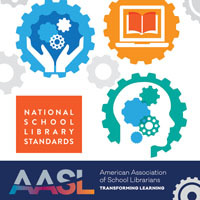 These AASL ESSA workshops are being conducted all around the country. If you weren’t able to attend one, there are materials and discussion posts available at the ESSA microsite http://essa.aasl.org/. Please share your wins and discuss your concerns. This is a forum for us all to share in the discussion. We know we do great things, now let’s get the word out so everyone else does as well.